More recent artworks tend toward the ironic self-deprecation of a nation stripped of its empire. 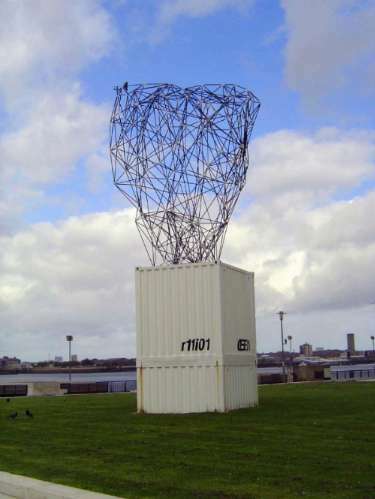 Irony can be funny, however, like this sculpture on the lawn between the Mersey Docks building and the Mersey itself. It's an upended shipping container, under a tangle of rebar.